In today’s world you come into contact with many different chemicals. From the foods that you eat, to the vehicles that you use, and even to the beauty products that you apply to your skin, you are in frequent interaction with harmful pollutants, toxins, and chemicals. Over time these chemicals can gather in the organs and tissues of the body where they may negatively affect the function and health of the body. These chemicals are often found in the liver, digestive tract, and blood. The body tries to remove these chemicals, and it can spend a lot of biological energy. While this occurs inflammation and chronic disease can set in, and this makes detox an important process. If you experience these symptoms and can’t pin point exactly what’s causing them, you may want to try to naturally detox. The body has its own systems to help detoxify itself, and supporting the organs in these systems can be a great way to naturally detox. The colon, liver, and kidneys work to properly process and expel toxins that enter the body, and they are important to keeping the body clean. Since the colon plays an important role in excreting waste it is in constant contract with bacteria and harmful substances. If waste isn’t completely removed from the bowels – which it often is not – harmful bacteria and toxins can get into the blood stream and be transported throughout the body. 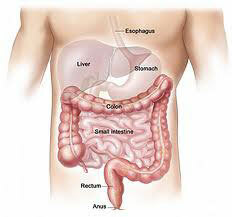 Luckily, maintaining a healthy colon is relatively easy, and adding some fiber to the diet can help. Fiber helps to keep waste moving properly through the bowels, and it may promote digestive regularity. Drinking plenty of water is key when using fiber, because fiber’s bowel support works best when it is able to absorb water. Eating whole grains, fresh fruits and vegetables, and nuts can also support a healthy and cleansed colon. The liver has a direct function in the body’s natural detoxification, so maintaining its health is essential. Supporting the function of the liver can be a great way to support the body’s natural detoxification processes. The liver supports the biochemical transformation of harmful substances, and it also helps to keep the blood clean. Eating healthy can be a good way to start supporting the liver. Processed foods, fats, and excessive protein consumption can lead to an over burdened liver, so reducing the consumption of these foods is an important first step. Providing the liver with milk thistle can also help, because milk thistle helps to detoxify the liver and also provides it with antioxidants. It may help to block harmful toxins from penetrating the cells, and it may also help to regenerate damaged liver cells. A dandelion supplement could also be beneficial for the liver. Dandelion also contains antioxidants, and it may also promote healthy liver function in those with liver diseases and ailments, like hepatitis B. Dandelion may also promote digestive health. Promoting the health of the kidneys is also important, because they work to purify the blood and to remove potentially harmful waste from the body. Just like other organs, healthy kidney function starts with a healthy diet that doesn’t contain a lot of preservatives or artificial ingredients. There are also a number of vitamins and minerals that can provide support to the kidneys, and some of the most important are Vitamin C, B6, and magnesium carbonate. Magnesium carbonate can help to remove phosphates from the body. This can help to maintain a proper pH, which is essential to healthy kidneys. Vitamin B6 may help to protect the kidneys from harmful blood diseases, and it may also help with neuropathy and peripheral edema. Vitamin C may help with high levels of histamine, which may limit inflammation within the kidneys. Using a nettle supplement, like DC Labs Nettle Extra, can provide support to the kidneys and liver. It can support proper urinary function and promote a healthy pH balance in the body. There’s also Pure Encapsulations Kidney Support formula, which promotes the overall health of the kidneys. It provides the body with antioxidants, cordyceps sinensis, astragalus membranaceus, and angelica sinensis, and these can promote healthy renal tubular cell metabolism, the function of the renal cortex, and the health of the blood vessels within the kidneys. When looking for a good detox supplement there are a number of ingredients you may want to look for. Some of the more beneficial ingredients include: turmeric, spirulina, soy lecithin, and green tea. Turmeric can promote detox by helping the liver to produce bile. Bile can help to remove toxins and it may also help liver cells to breakdown dangerous compounds. Spirulina also helps with detox, and it can be especially helpful for heavy metals. It is also a chelating agent, so it may help to remove substances, like mercury. Spirulina is a good source for a number of important nutrients, like vitamins, minerals, and amino acids. It is also rich in chlorophyll. Chlorophyll helps with detox by helping to keep the blood pure, and it does this by removing toxins from the blood. Pure Encapsulations Liver GI Detox is a detox supplement that promotes the health and function of the liver. It contains nutrients that support phase II detoxification, and it may promote fat metabolism within the liver, as well as healthy bile flow. DaVinci Labs Multiphase Detox is a natural detox supplement that helps the body to neutralize chemicals, toxins, and pollutants that harm the body. It provides the body with a wonderful blend of amino acids, herbs, and other nutrients. Multiphase Detox is rich in antioxidants and can offer liver support. OneBode Replenish is designed to support the liver and protect it from harmful substances. It supplies herbs that can help to maximize the function of the liver, and when it is paired with Remove it provides a one-two punch. 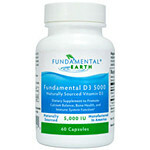 Fundamental Detox supports a Phase I and Phase II liver detoxification. These supplements can be a good way to support the body’s detox, and best of all they are all natural and safe to consume. Everyday your body is exposed to toxins, pollutants, chemicals, and heavy metals. These harmful substances can accumulate within the body, where they can cause stress and damage to the nervous system and other essential systems and processes in the body. These factors make detoxification an important practice, and chlorella is a great natural way to support healthy detoxification. Chlorella helps to remove harmful substances from the body, and it works particularly well on heavy metals, especially mercury. Heavy metal toxicity is something that many people deal with, and it can have a number of negative effects on overall health. Heavy metals can be found in nature, and they are considered heavy because they are denser than water. The body depends on minimal amounts of these metals, but too much can lead to poor cognitive function, headaches, confusion, cramping, and difficulty breathing. Heavy metals can also pose a risk to cardiovascular function, as they may hinder circulation. The greatest cause for concern of heavy metal exposure is how mercury affects the central nervous system. Mercury builds up within the body, and t can cause the neurons to prematurely breakdown, and mercury may cause a number of psychological symptoms, like depression, anxiety, and irritability. 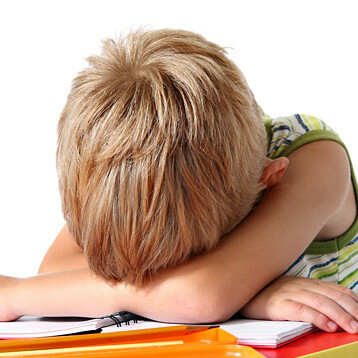 It may also lead to fatigue, and mercury toxicity may also harm the kidneys and digestive system. Monitoring these symptoms is one of the first steps to determining heavy metal toxicity, but there are also tests that can determine heavy metal levels. However, these tests may be inaccurate, and many of these tests don’t offer any insight into the origins of the heavy metals. It is possible to test different parts of the body to find the origins of mercury. Mercury can be consumed through fish and water, and many people are regularly exposed to it through metal dental fillings. By testing mercury levels within the urine the researcher can determine how much mercury came from dental fillings, and by testing the mercury in the hair mercury that came from fish can be determined. 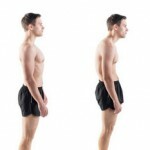 Detoxification practices and processes were once looked at as hokey and unimportant, but in recent times the importance of detoxification has become widely known. 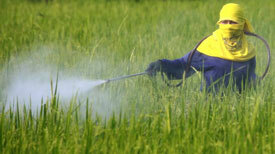 Much of this is because of the environmental chemicals and pollutants that the modern world imposes on the human body. Heavy metals are among the most dangerous substances that the body is exposed to everyday. As previously stated, mercury can be found in silver dental fillings. It is believed that the average person has eight metal fillings, and through this the body can absorb up to 120 micrograms of mercury every day. People with at least four silver fillings are at a great risk for mercury induced health problems, and they should get them removed and partake in a chlorella regimen. Women planning on getting pregnant may also benefit from chlorella, because accumulated heavy metals can be passed on to the developing fetus. Chlorella supplements are among the best natural ways to help with detoxification, but it is important to get the right kind of chlorella. Cracked or broken cell wall chlorella is a must. All the beneficial substances that chlorella has to offer are found within the cell, but unfortunately the cell walls of chlorella are nearly impossible for the body to breakdown and digest. In order for the health benefits of chlorella to be extracted, the cell walls must be broken or cracked. Chlorella is most beneficial when taken every day, and it is commonly recommended to take chlorella in the morning. Besides helping with the detoxification of heavy metals, it may also help with other pollutants and chemicals, like pesticides. It also contains smaller amounts of tryptophan and phosphorous. Chlorella may also support the immune system, and it is believed to help the functions of the T cells. Chlorella may also support the digestive system, and it is commonly used to help with inflammatory bowel diseases. Studies have shown that it may be especially helpful for colitis, which can cause diarrhea, pain, and poor nutrient absorption. Subjects who supplemented with chlorella showed an improvement in these symptoms. Further research has also shown that it can help the cardiovascular system by supporting healthy blood pressure and cholesterol levels. Chlorella may also help with fibromyalgia, and it may help to reduce the risk of cataracts. Heavy metals are commonly consumed through water and fish, and before using chlorella as a detox agent it is important to get the body away from the sources of excess heavy metals. Using chlorella for detoxification will not work if the body is constantly exposed to heavy metals. Also it is important to notice that detoxing with chlorella is a gradual process, and introducing the body to too much chlorella can cause abdominal discomfort. Modern technology and industry has lead to an increase in the exposure of heavy metals. Heavy metals, like mercury, can be found a wide array or sources, like water, fish, and even dental fillings. Because it is nearly impossible to completely cut out the exposure to heavy metals detoxification is important. Chlorella, a source for natural algae, is a wonderful way to help the body with detoxification, and it also provides a number of other health benefits, including cardiovascular and nutritional support. Natural detox supplements may cleanse the body and help to remove many of the toxins that accumulate within the body. Chemicals and toxins come in frequent contact with your body, and this can happen even when you don’t realize it. Promoting the health of the colon, liver, and kidneys can help your body’s natural detoxification, and supporting the detox process with some of the above natural supplements may also be beneficial.